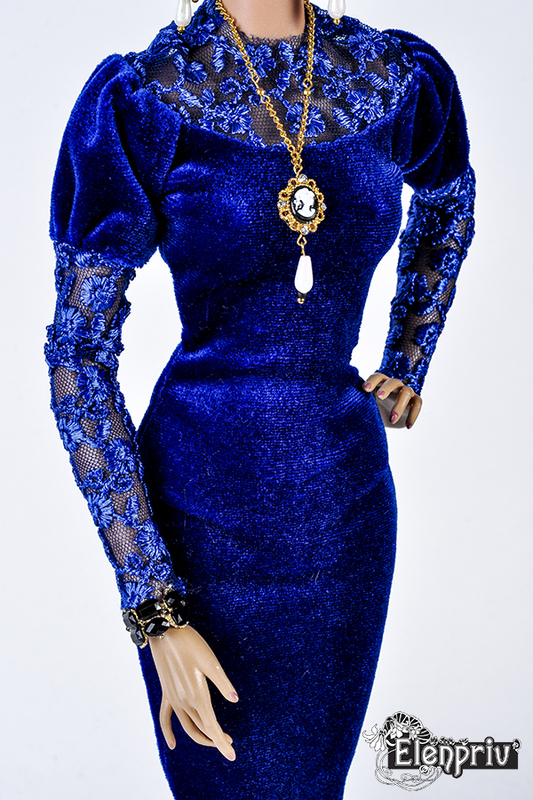 Royal blue stretch velvet dress with lace elements for Fashion Royalty 16″, ITBE 16″, FR:16 and similar size dolls. Materials: lace, velvet (100% polyester). No lining. Fastens with a zipper. Model: Fashion Royalty 16″ Hanne Erikson Afterhours FR:16 by Integrity Toys Jason Wu doll.